The defrost will also allow you to save on electricity consumption: if there is a lot of ice in the refrigerator or freezer, you can consume up to 20% more electricity. Defrosting the refrigerator is a necessary operation to maintain in a good state the electrical appliance and moreover it will make you save electricity. Here's how to do it with a few simple steps! 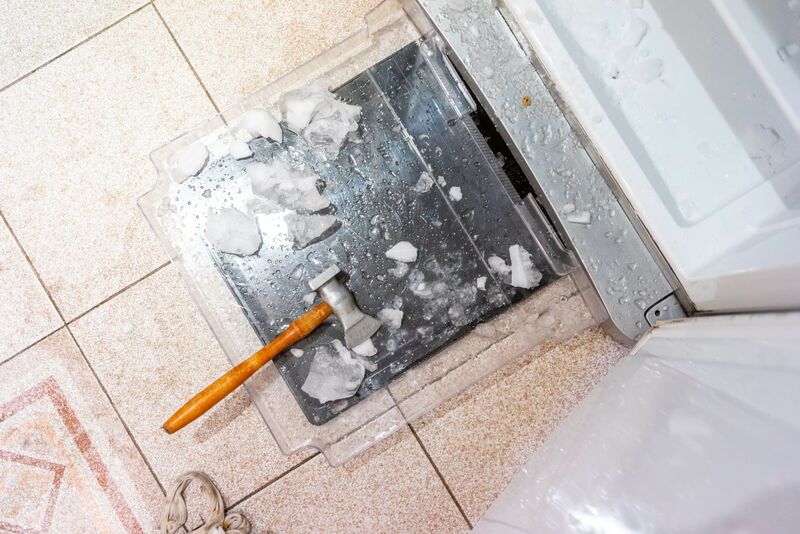 Defrosting the refrigerator is one of the most unpleasant things to do at home, but it is better to do it if we want to guarantee the correct functioning of our electrical appliance. In fact, the ice could cause some problems by exerting pressure on the pipes, and for this we should defrost our refrigerator at least twice a year, better if at each change of season. The defrost will also allow you to save on electricity consumption: if there is a lot of ice in the refrigerator or freezer, you can consume up to 20% more electricity. Defrosting the refrigerator is a good operation to do before the weekend or before the holidays, when inside there are few foods, otherwise you will need to equip yourself with thermal bags to free the refrigerator and freezer. 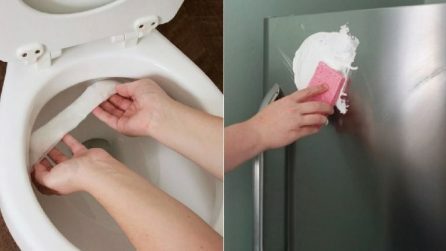 When you perform this operation, do also a more thorough cleaning of the electrical appliance to sanitize it and free it from unpleasant odors. The defrosting of the refrigerator and freezer must be a very quick operation to prevent the food stored inside from deteriorating. 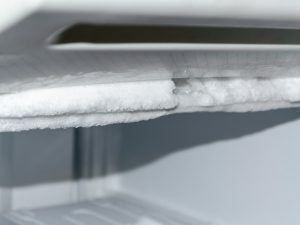 If you have a no-frost refrigerator, there will not be any block of ice to eliminate: in this case, in fact, you only need to collect the water that will release the electrical appliance when turned off. But here are the steps to perform to quickly defrost the refrigerator. The first thing to do is to unplug the refrigerator, then free all the compartments from the products inside, even those in the freezer, and put them in some thermal bags. Then turn the thermostat knob on the "0", remove the shelves, put rags on the bottom shelf of the refrigerator and lay on a basin: place some rags also on the floor, near the refrigerator, and in the freezer. To speed up the operation you can use a basin with hot water. While you wait for the ice to melt, clean the inside of the refrigerator: remove also the drawers and always start from the top shelf. Wash all the parts extracted with hot water and bicarbonate: it will have a sanitizing and deodorizing effect. Alternatively, use water and vinegar, also useful for eliminating mold. In case of stubborn stains, create a cream with bicarbonate and a little water, rub and leave for 40 minutes. Also clean the inside walls of the refrigerator by spraying hot water to which you always add a little bicarbonate, then clean and dry with a microfiber cloth. Now let’s clean the freezer: remove the last residues of solid ice, maybe helping you with a special spatula. Once the excess ice has been removed, place it in a basin or directly in the sink. Clean the inside walls and the shelves of the freezer using also in this case a mixture of water and bicarbonate, without forgetting drawers and any containers. After cleaning, dry well with a microfibre cloth. Once the refrigerator is defrosted and cleaned, insert again the plug and adjust the thermostat to a higher level, in order to guarantee the freezer the better temperature to freeze the products. Replace the food inside the electrical appliance as soon as a light frost has formed, so as to chill the food in the right way. Now your refrigerator will work better and it will consume even less energy. 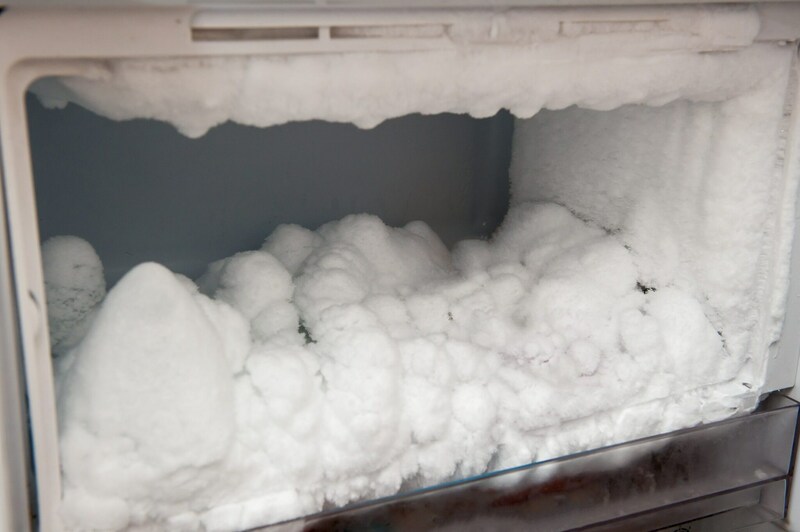 Now let's see some useful tips to follow during the operation of defrosting the refrigerator. If you defrost the refrigerator before the holidays, leave the plug unplugged and keep the doors open to prevent the formation of unpleasant odors. When adjusting the temperature, also evaluate the energy saving options. Place the food in well-cleaned and dry containers and do not place them on the bottom of the refrigerator: this way you will be able to ensure a good distribution of the cold. Dry the containers to be stored in order to avoid the formation of water. During the defrosting phase put the food of the fridge and those of the freezer in separate thermal bags and do not forget to put freezer packs inside. Open the thermal bags only when you put everything in place. While you defrost the electrical appliance, check also the gaskets: if they are faulty, it will be better to change them, as they favor the formation of moisture which in turn creates the ice.